WASHINGTON — Satellite fleet operator Thaicom’s revenue fell by $60 million last year, a nearly 23 percent decline the regional operator blamed on a slowdown in Thailand’s broadcast sector. Thaicom, which owns a fleet of five geostationary telecom satellites and has subsidiaries spread across several Asia-Pacific nations, reported 2017 revenue of 6.7 billion Thai baht ($213 million), compared to 8.6 billion baht in 2016. Also weighing on Thaicom revenues was a 31.3 percent decline in revenue on the IPstar high-throughput satellite, which gained new revenue from customers in Japan and Indonesia, but not enough to offset lost customers in Australia and China, along with fluctuations in domestic demand. Thaicom’s net profit on 2017 operations virtually evaporated, decreasing 99 percent from 2016’s 1.612 billion baht to 20 million baht for the year just ended. The company said impairment losses from “satellite assets operating under concession,” totaled 3.2 billion baht. Orion Satellite System Pty Ltd., an Australian subsidiary focused on VSAT services primarily to mining and construction industries hurt by an economic recession, was impaired by 113 million baht. 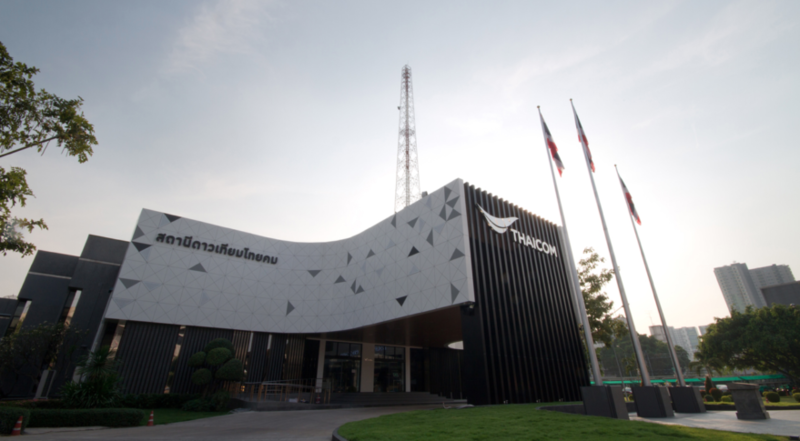 Thaicom’s consolidated net loss was 2.6 billion baht. Customer sales on Thaicom’s non-HTS fleet increased, in particular from Africa and the Greater Mekong Subregion of Asia, but not enough to generate revenue amid dropping capacity prices — a consequence of oversupply in both regions. Revenue from those satellites dropped by 15.6 percent year over year. “During 2017, the significant market price erosion on satellite services from fierce competition, together with the churns of major customers both domestic and international, led to considerable decrease of revenue from satellite and related services,” Thaicom said. Also adding difficulty, Thaicom said uncertainty in the ability to obtain government licenses to operate follow-on satellites made customers skittish on continuing business. “For us, that means expanding on our core satellite operations by stepping into a broader role as a digital platform operator,” he said. “This will allow us to strengthen our position as a leading satellite operator while also positioning ourselves as a leader in the digital platform space.